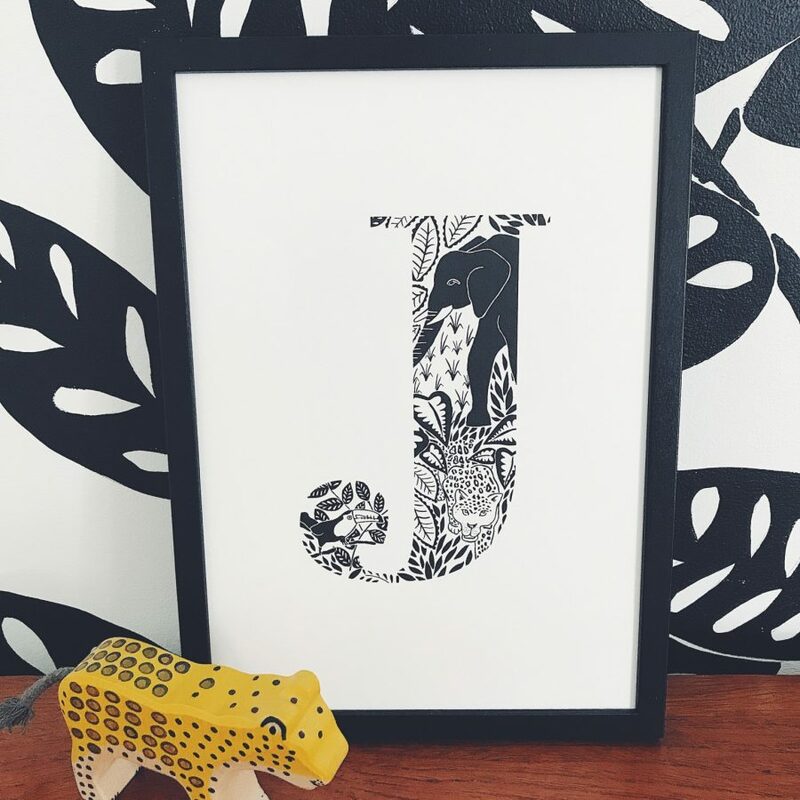 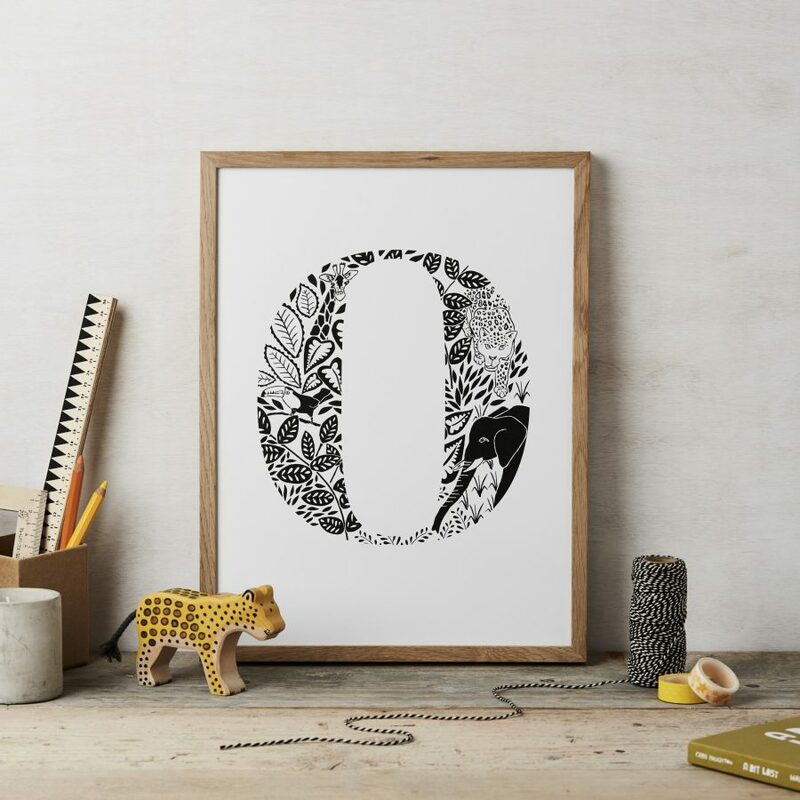 These original, hand drawn animal alphabet prints are the perfect finishing touch for any baby’s nursery or child’s bedroom. 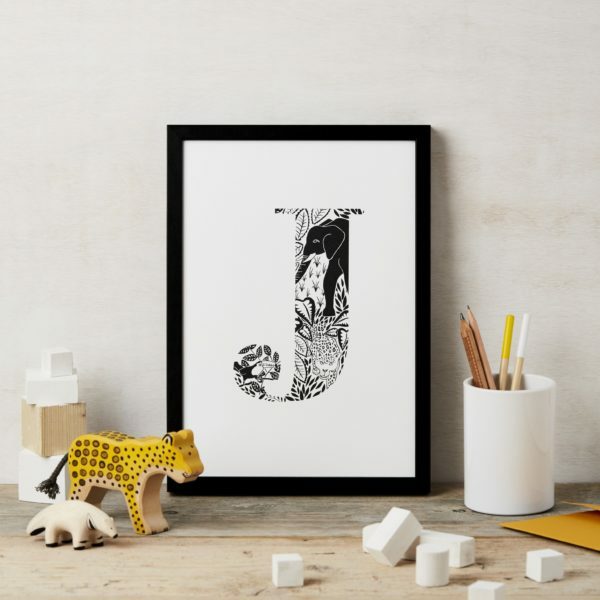 The animals look out from the monochrome jungle and each letter is different with elephant, jaguar, toucan and giraffe featuring. 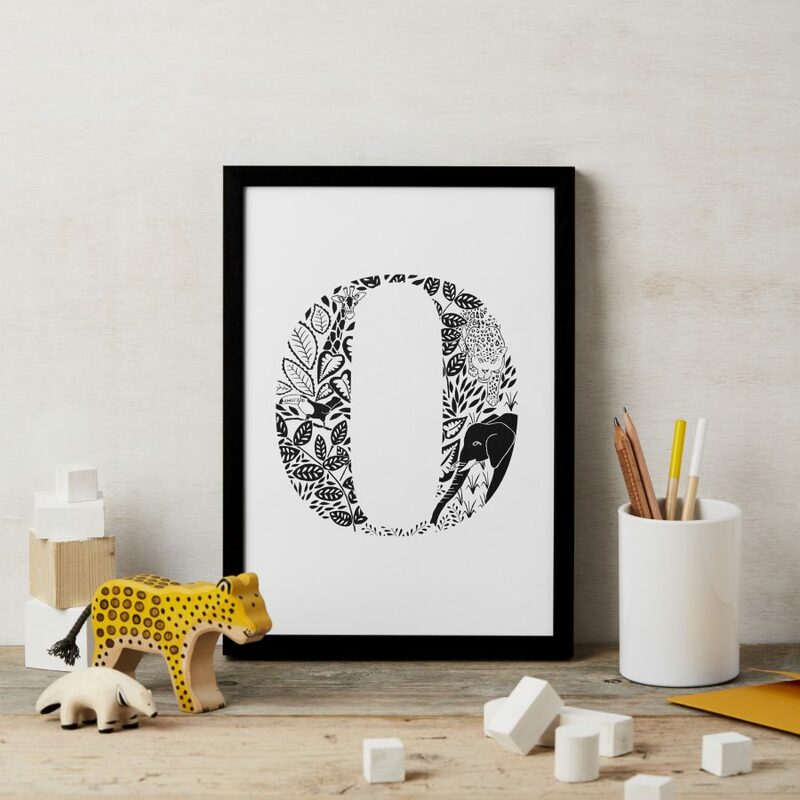 The perfect gift for a new baby, Birthday or Christening, these beautiful personal prints will look wonderful hung on the wall and are the perfect way to stimulate a child’s interest in the natural world. 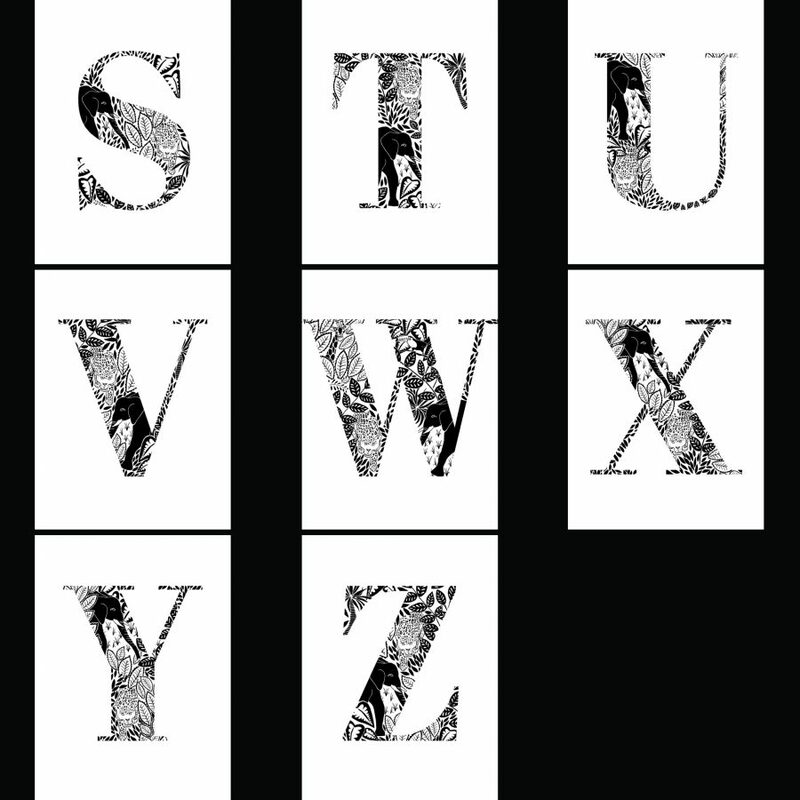 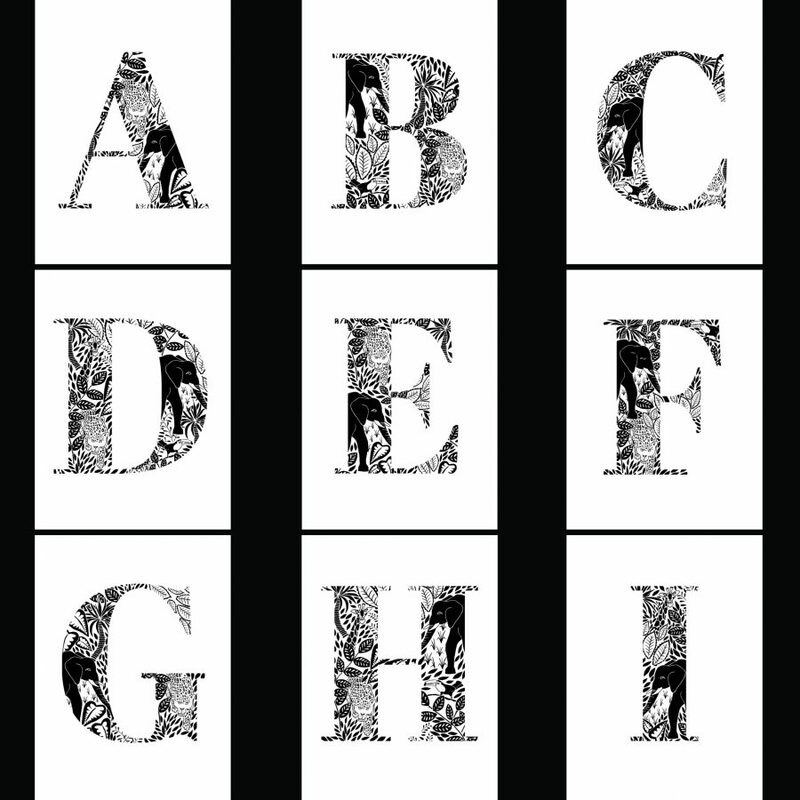 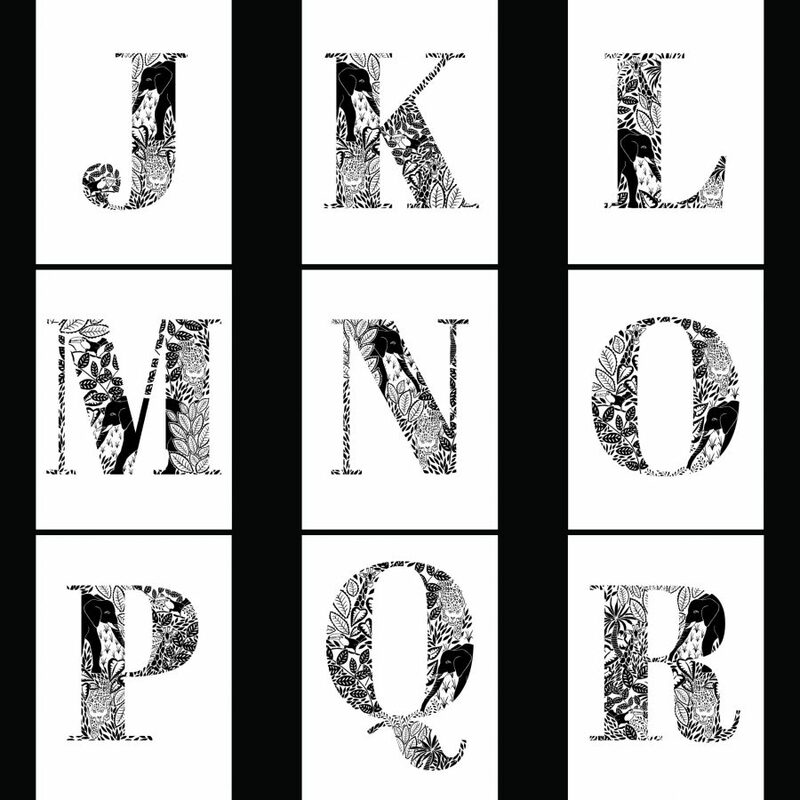 (The animals vary on each print, if you’d like to see the design of a specific letter scroll through the listing images to see). 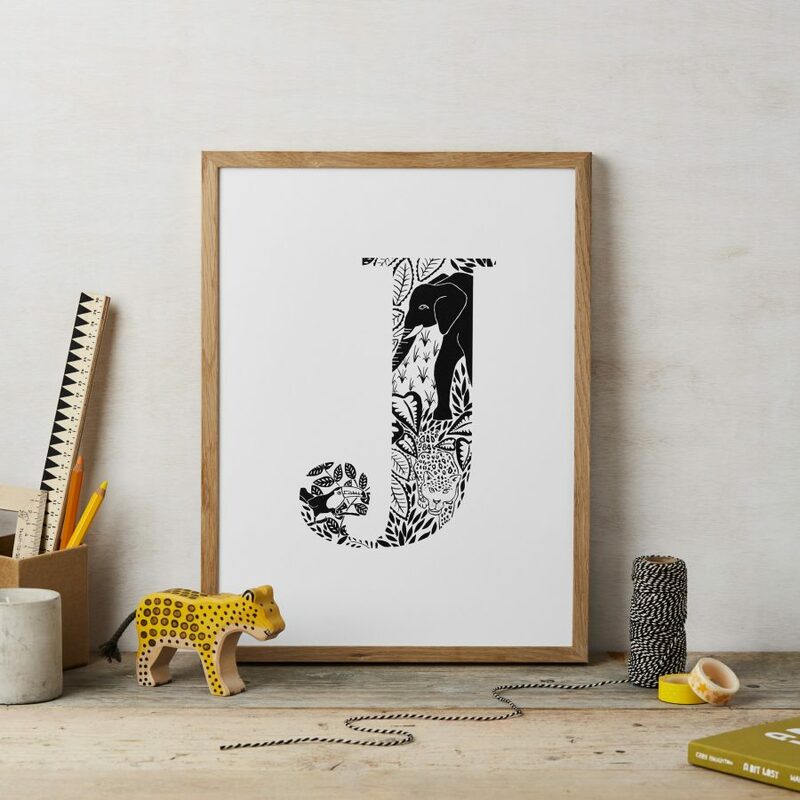 Frame options: You can choose whether to purchase your print framed or unframed. 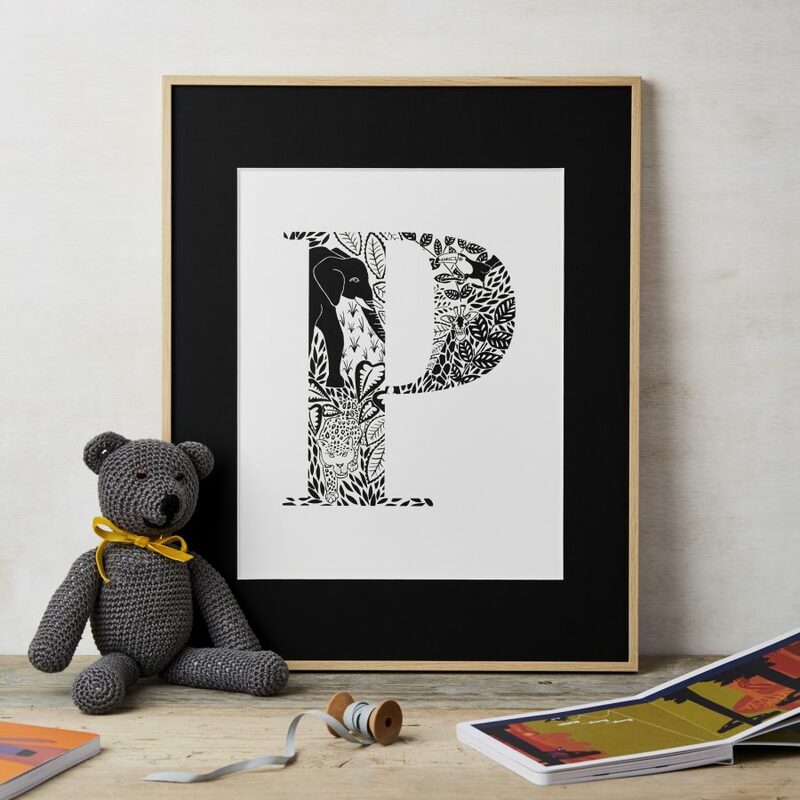 If you purchase the print unframed it fits into a standard A4 (A4 print) frame or 30×40 (A3 print) frame. 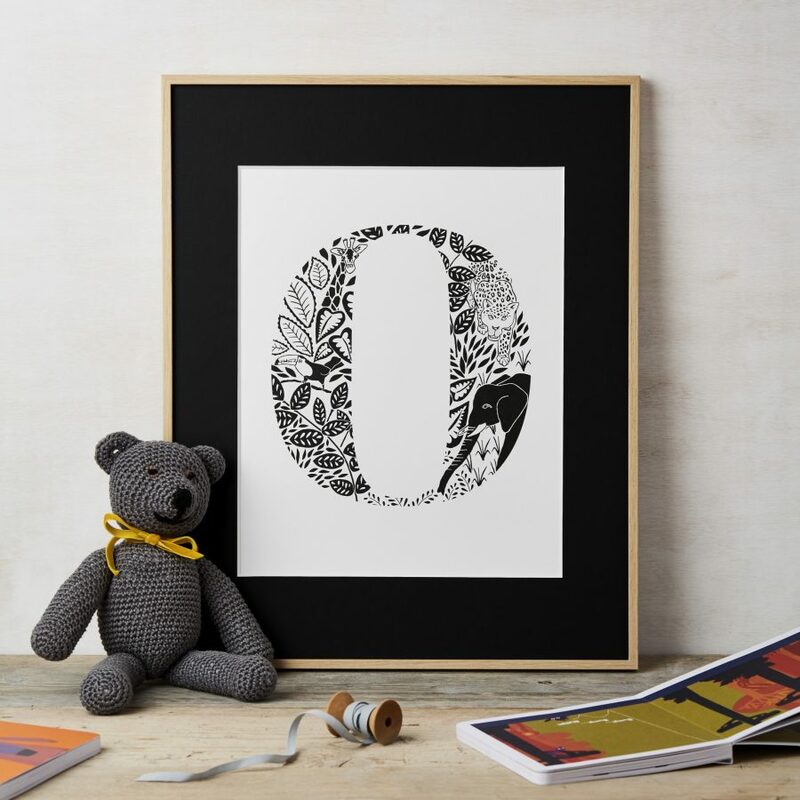 You can also choose to add a mount (black or grey). 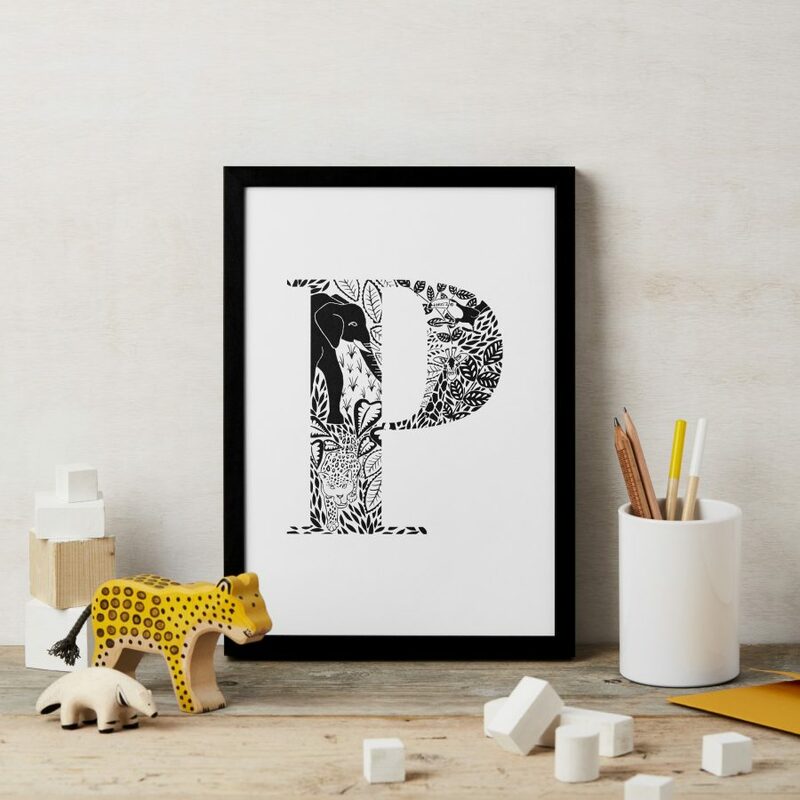 Shipping: A4 Unframed, this item will be shipped in a clear plastic sleeve inside in a stiff protective envelope with a sturdy backing board for protection. 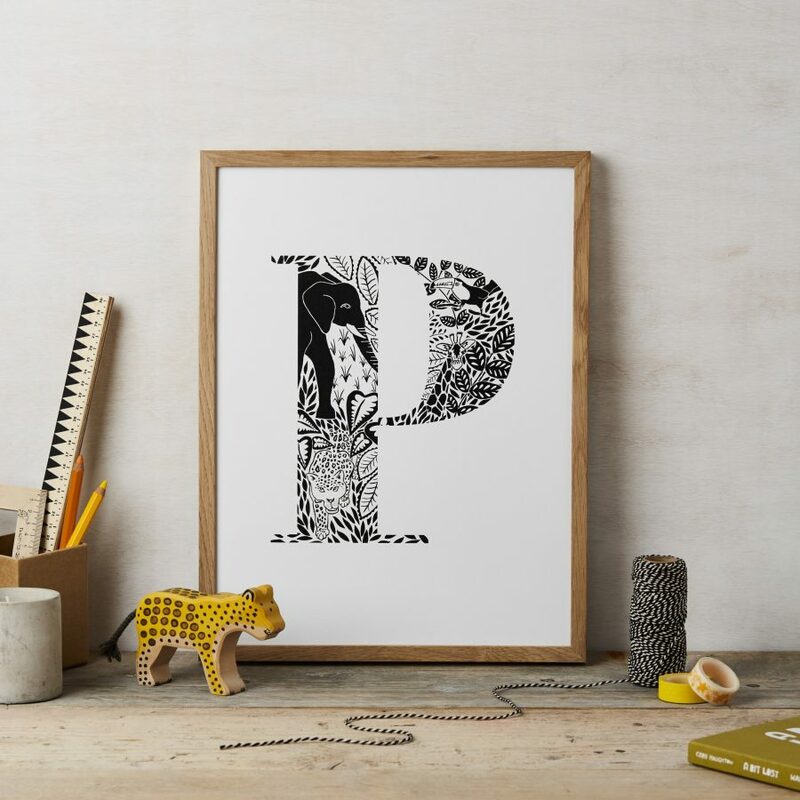 A3 Unframed, this item will be shipped in tissue paper in a cardboard mailing tube. 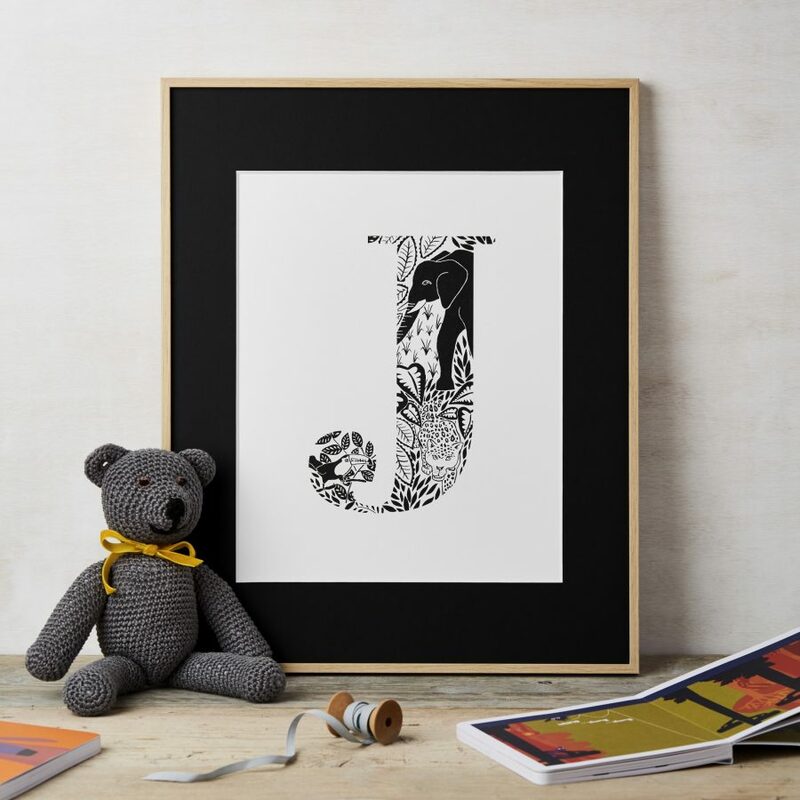 Framed, your framed print will be shipped in a cardboard mailer.